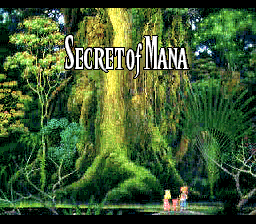 ROM Hacks: Secret of Mana: Relocalized v1.6! Now with Mixed Case Naming! That's right, the hack that updated FuSoYa's beloved VWF hack and uncensored everyone's favorite Murderbot, was just updated to version 1.6 and has now added a major quality of life improvement: Mixed Case Naming! - Revised spell descriptions with Statistical Data like MP Cost and Spell Power. - Some spell, status, and item names were updated for improved conciseness, comprehension, or modernized to match the Seiken Densetsu series' current nomenclature. - Reversion to the punctuated message system used in all versions prior to v1.5. - Removal of non-canon references to Popoi's gender during the Sandship scene. Want to download the new update? Click "Relevant Link" below. Want to discuss it? Click "RHDN Project Page" above. 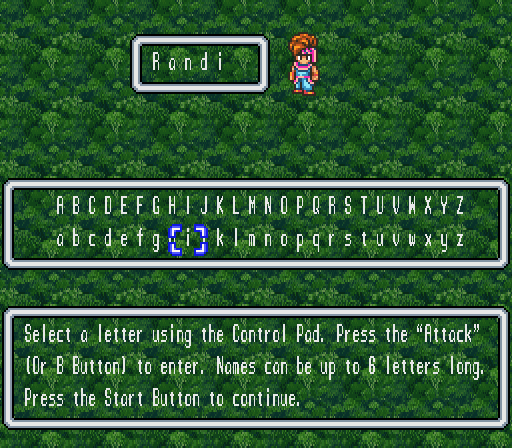 Re: ROM Hacks: Secret of Mana: Relocalized v1.6! Now with Mixed Case Naming! I love love love your relocalized project for SoM, and it's cool your building off of Fuyosa's Variable Width Font edition patch, but since you are working on this, could you please fix the spelling error for the man on the Turtle Island who says "I'm was born in the empire, but the emperor's gone nuts!" ??? that spelling error has driven me crazy since the first time I played Fuyosa's VWF patch... It should be "I was born in the empire" lol... not "I'm was" or maybe "I'm from the empire, but the emperor's gone nuts, so I escaped here with my family." Always nice to see this patch getting improved. Every new version is the most definitive version of the game... yet! There's also some small changes that I find unnecessary. Like renaming Jema -> Gemma or Phanna -> Pamaela, or even changing the Palaces to Temples/Shrines. On an unrelated note, would it be too far to ask for an included hack that changes the charge attack? It'd make more sense in my opinion for the charge attack to default to the highest level attack acquired, rather than waiting for multiple different charges.